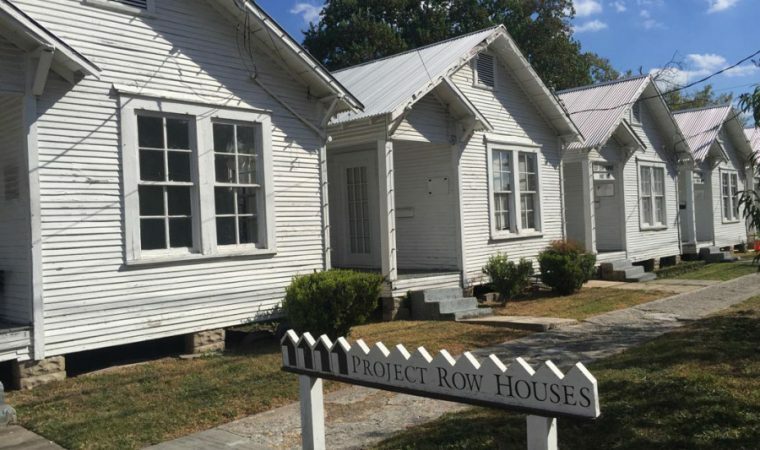 Project Row Houses by Rick Lowe – I finally saw it 20 years after I met the man. Well, it finally started to happen, and in Houston of all places. 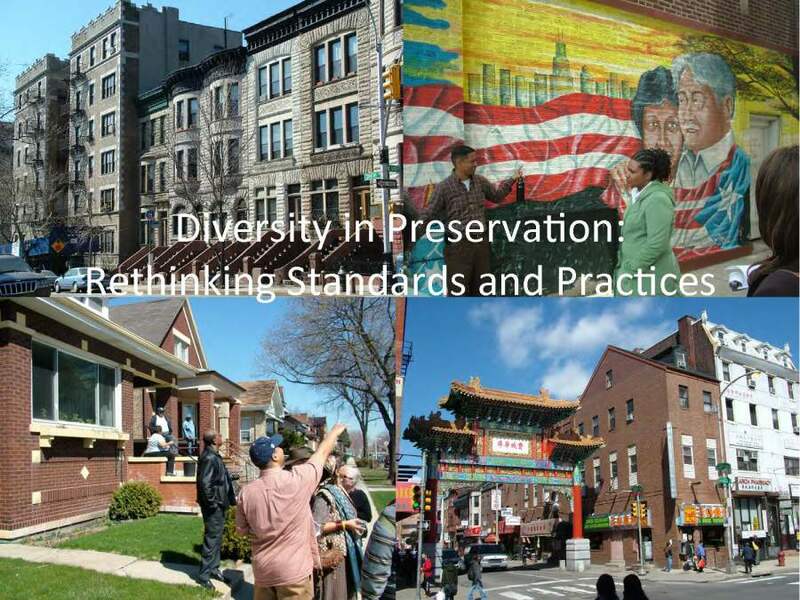 PastForward, the National Preservation Conference of the National Trust for Historic Preservation, witnessed the emergence of the next generation of “preservation” practitioners and highlighted the future of the movement. Featuring inner-city artists who save places like Houston native Rick Lowe and Chicagoan Theaster Gates, it felt to many of us like the movement had finally turned the corner and embraced the future. It was the conference in Nashville in 2009 when Donovan Rypkema exhorted us to stop calling it “historic preservation” and embrace “heritage conservation”. I immediately agreed with him and wrote a blog and article about it after Nashville. In the years since we have labored to create a more diverse National Register of Historic Places, an effort I have written and spoken about often. 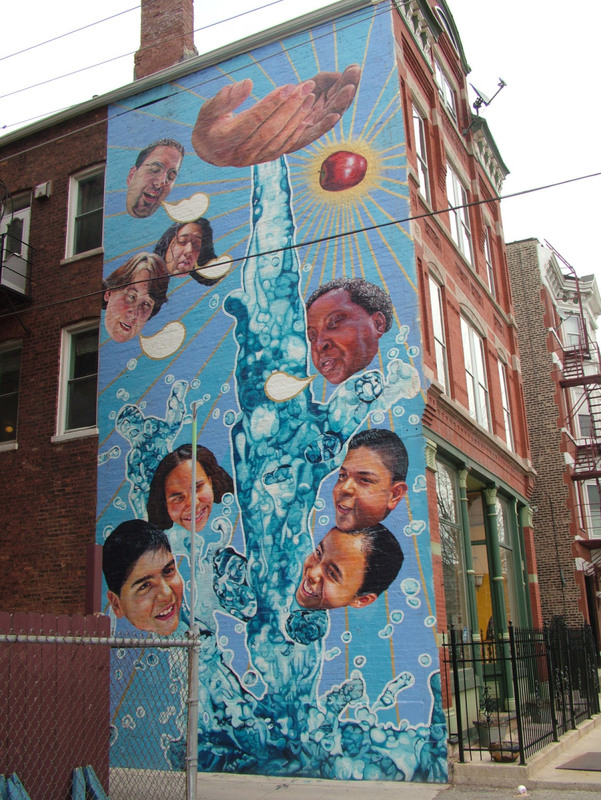 Around 2010 I was involved in strategic planning efforts on the boards of both Landmarks Illinois and the National Trust for Historic Preservation and the short answer was: we need to let the next generation define and lead this movement. And now it seems we are beginning to do so. 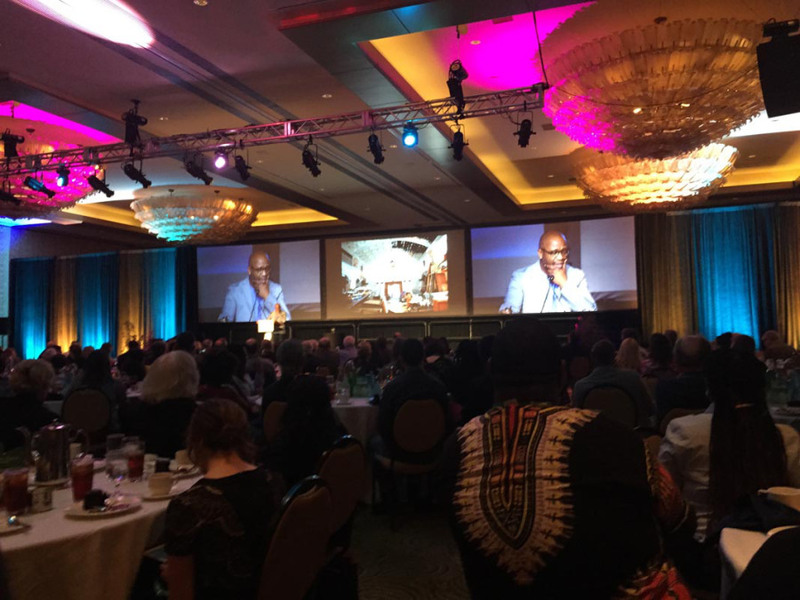 Theaster Gates speaking at PastForward, Houston 2016. 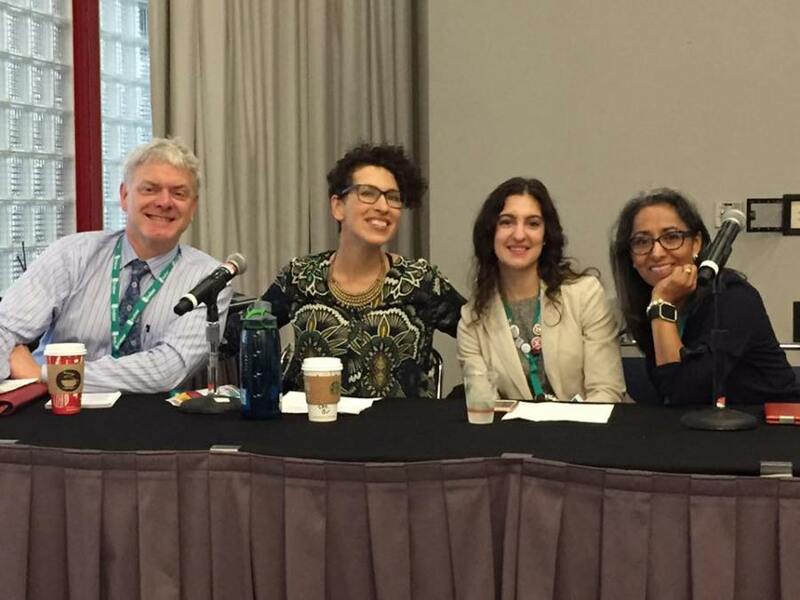 I had two opportunities to participate in this discussion at the conference in Houston. First, I was asked to talk about the Future of “Preservation” practice as the keynote of the Partners luncheon. My message in some ways was simple: It is heritage conservation, and we need to become urbanists and culturalists more than architectural historians. We need to embrace place and people and move away from the rules-driven world of preservation regulation and into the future-building world of community engagement and empowerment. As I have been saying for years, heritage conservation is a PROCESS that begins with engaging community in what elements of their past they want in their future. The tools of engagement are many, as are the results, because a rule or standard that works for one cultural community may not work for another. I have worked all over the world and I know this process can work ANYWHERE and I know equally well how to fail. 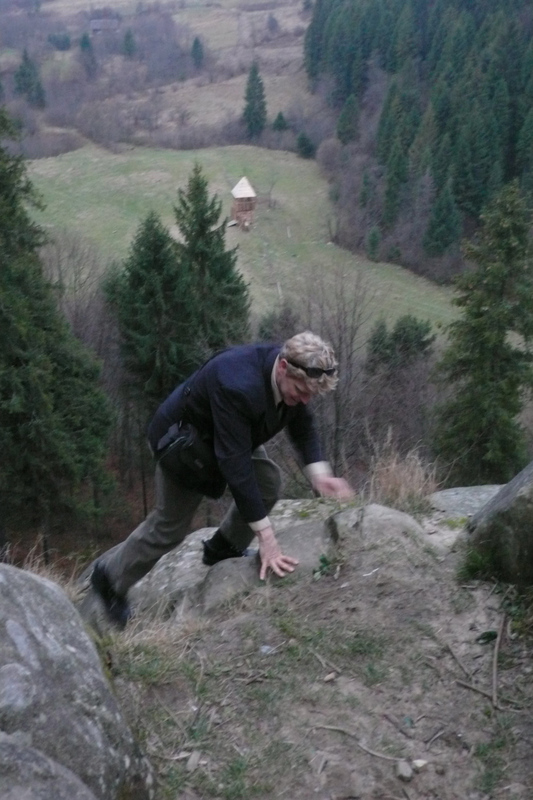 It’s always an uphill climb… Tustan, Ukraine, 2006. They did not fail, as I reported earlier this fall. I organized the talk around specific changes happening now and in the future that effect our field, like the nature of commercial real estate in an internet-and-drone world, where there are fewer stores and more restaurants, and where physical space is not for meeting needs but creating experiences. There is climate change and rising sea levels which will drown many resources and force very difficult triage decisions. We will be forced to abandon certain resources or go to great lengths to save others. Despite this, heritage conservation is well suited to this future, because it has always been future-oriented. It has always been about planning. And – for at least the last 50 years – it has been all about adaptive re-use. The greatest urbanist successes worldwide in recent decades have come from whole districts repurposed for new uses. 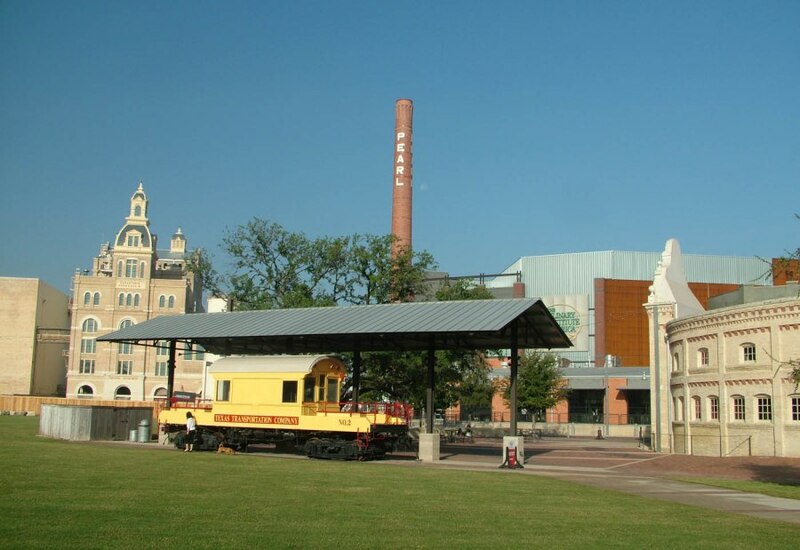 For half a century heritage conservationists have been revitalizing downtowns and Main Streets. While the organization men of commercial real estate were fleeing to the malls and declaring downtowns dead, we crafted new downtowns out of old buildings and bequeathed to millenials something they can’t live without. 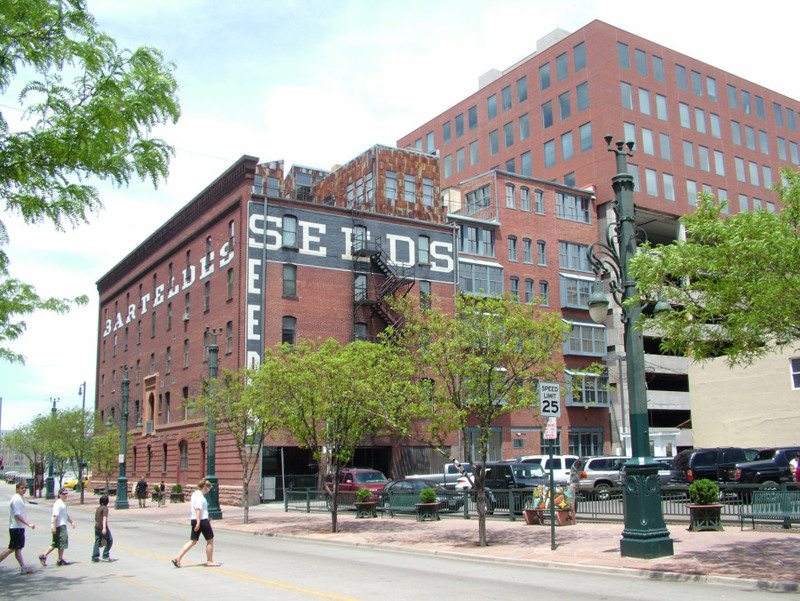 We learned long ago that the most sustainable development model is rehabbing old buildings. 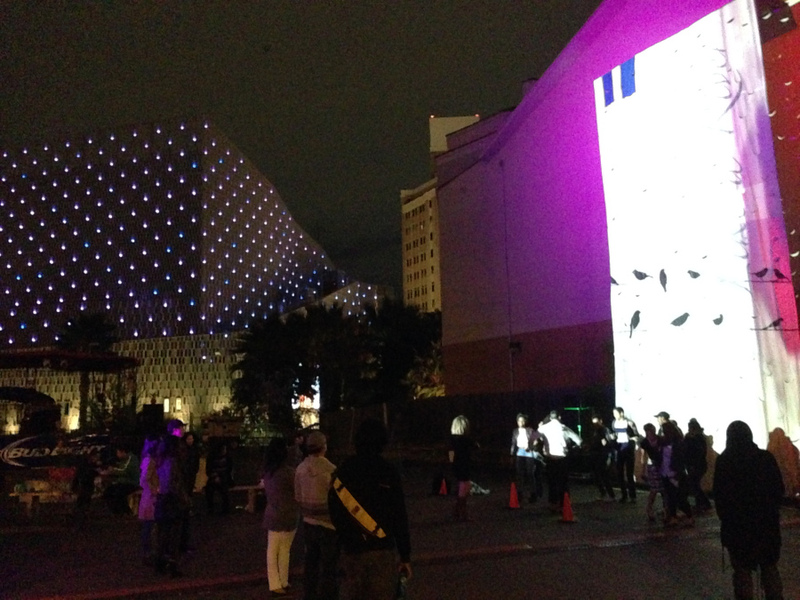 And now the organization men have turned tail and are glomming on to our historic centers. I also touched on technology, which is giving us new, less-damaging ways to identify and document historic resources like LIDAR and ground-penetrating radar. 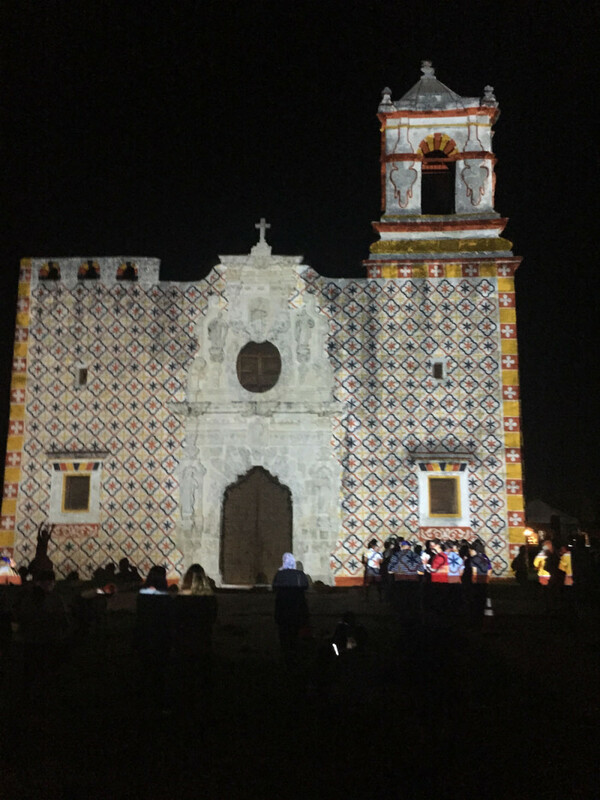 It is also giving us new non-destructive ways to interpret historic sites, like the recreation of the paint colors at the Missions here in San Antonio during “Restored By Light.” Technology is allowing us to avoid irreversible decisions in both documentation and interpretation. Technology is also letting us know why our brains prefer historic places, and why we need the sense of human connection that heritage conservation gives us, but that mechanistic analog approaches to economic development often fail to do. I then dealt as I have for many years with the need to be inclusive in an increasingly diverse society. This has been an important issue in our field for a quarter-century, and we are finally formulating solutions. We learned during the opening plenary at Houston that Houston is actually the model of a diverse city, with various groups represented at roughly the same percentage as the world at large. So I have been saying this, but it became evident in this conference that we have started DOING it. It became apparent to me in a panel I had the honor of moderating on Friday, called “We The People..” which had three young heritage conservation professionals describe the new tools they have developed for engaging community in conservation, and how those tools of engagement are reshaping the field. Me, Emilie Evans, Briana Grosicki, and Claudia Guerra. Briana Grosicki talked about the parcel survey done in Muncie, Indiana, which is creating a database that involves the residents in collecting information not only about buildings but other aspects of place-based life. This helps address the 70% of older buildings that define most cities, not the 4-5% that are landmarked. Emilie Evans talked about Brick + Beam Detroit, a program that helps property owners, contractors and rehabbers develop their capacity to transform their environments through positive action. Claudia Guerra spoke about her efforts to collect oral histories and other intangible heritage elements that define the lives of those around San Antonio’s historic missions, whose UNESCO World Heritage inscription was earned not through architecture but through a cultural landscape that defined a meeting of civilizations that began 300 years ago and IS STILL GOING ON. Continuity with the past. 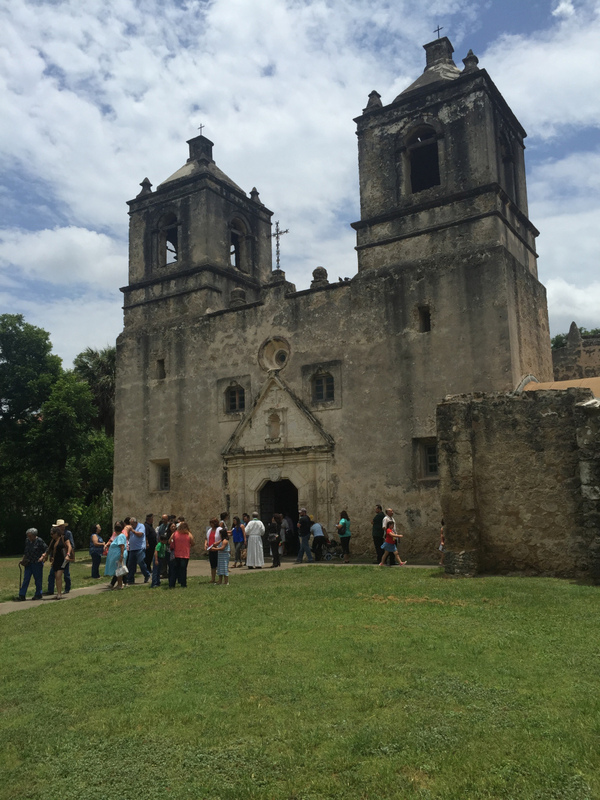 Mission Concepcion after Sunday mass. Claudia’s cultural mapping project is one all “preservationists” should support, because it brings us into the current millennium in terms of our heritage conservation tools, techniques, and objectives, and because it activates the community to help direct and steward that effort over time. People ARE connected to place, and thanks to technology and an understanding of the conservation process, we can all work to help them identify those elements they need to continue to connect them to place. 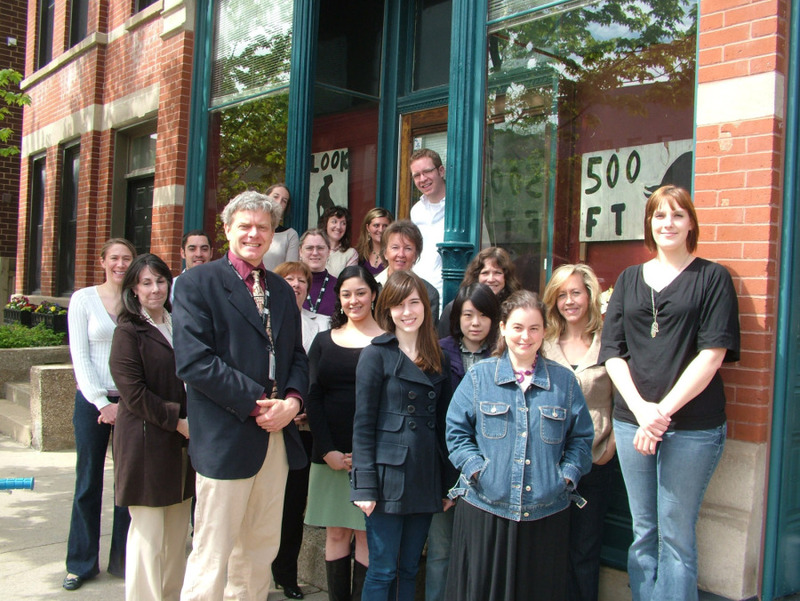 My SAIC students at Roger Brown Study Collection, Chicago, December 2009. I have been fortunate to work in this field for more than three decades and I am even more fortunate to witness how the next generation is transforming and expanding heritage conservation to make a more meaningful life for everyone. PS I actually saw at least three of the above students at PastForward in Houston!